The Transformers are back in theaters this week and love or hate the movies most of us can agree on that we love the original generation 1 cartoon and comic book from Marvel. 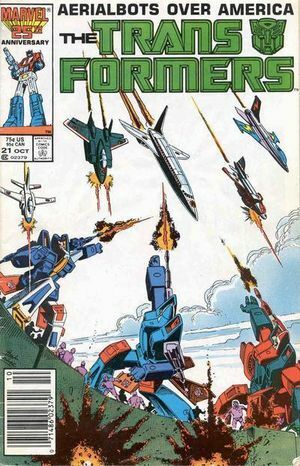 We picked this issue because it shows the Aerialbots who of course were a combiner group. We always wanted to see the combiners in the films and we sort of got one in that second live action movie but over all the combiner Transformers were never fully realized in the movies. At least we have awesome comic books like this one to remind us of the cool stuff we missed in the films.